Pernille Damore is a mother and naturopathic doctor that has worked with people and helped them emotionally and medically for over 20 years. A few years ago she was hit by a surf-board in the back of the head and was rushed to hospital. Since that injury, Pernille has not been the same. She suffers TBI and her everyday is affected by her neurological dysfunction in ways unimaginable to non- injured people. 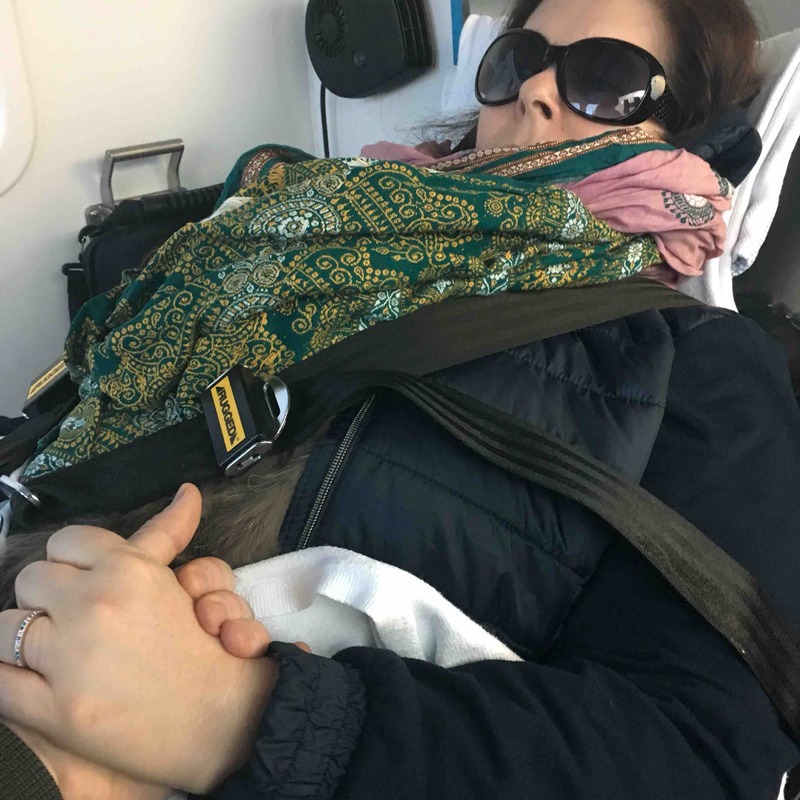 She treated herself back to physical basic functionality on the outside directly after the hospital stay for months and months, suffering periodical blindness and the difficulty of being a single mother at the time too with young teenagers. She has had various difficulties with memory and general cognition which has been getting worse the past 2 years. In Denmark, where she lives next door to her elderly mother who looks out for her most days, the health system does not acknowledge her Traumatic Brain Injury, nor are treatments of any kind made available beyond physiotherapy and prescription drugs for migraine. Its a difficult situation. In 2017 Pernille had 240 days of migraine. Since late 2016 her short-term memory is down to a few days only after a relapse and subsequent hospitalisation. 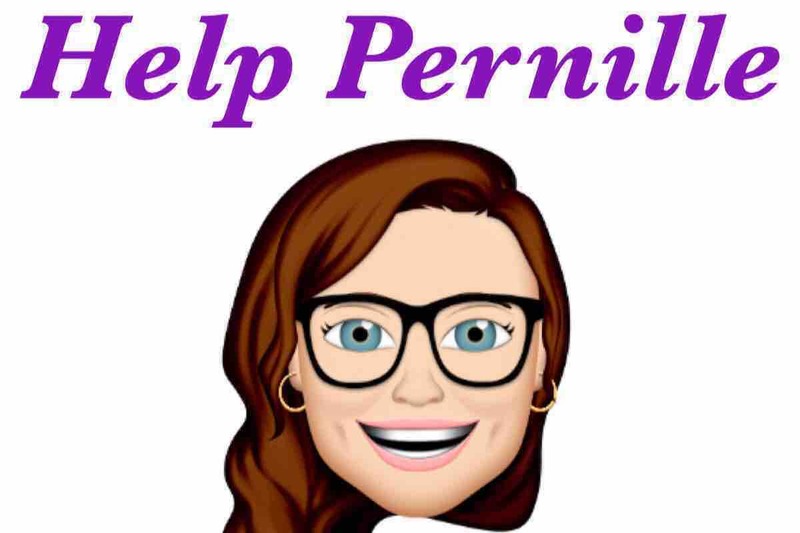 I’m Lincoln, her partner, and I do my best with limited resources to help her advance as best as possible and keep my eye on developments and information in the field of neurology and TBI, hoping that there is a way to improve Pernilles’ situation. I support P every way I can. The below is a copy of the Facebook post I shared recently (11th June 2018) with friends, family and people that know Pernille. I live in the UK because being together in the same environment is too stressful for P. That may read strange, but when a brain is not working correctly there is a lot of stimulus occurring which cannot be filtered and can magnify stress. Everything is an exhausting experience, so we have two households and live apart until we find a way to improve P`s situation. My last visit resulted in P being indoors and in darkness for 7 days due to migraine when her environment changed once I left. She was in fairly good shape for her while I was there, but change is a problem, due to the brain activity involved with adaptation. ...its a really complex and difficult situation, but we think there is an answer. Please keep reading to find out what is going on with P, how you can help her and what this is all about. For those of you that don’t know, P (Pernille) has suffered the difficulty of TBI (Traumatic Brain Injury) from a head injury she got. The funding target is set at £25k as a preliminary estimate as we don’t have exact numbers. Over the last years she has experienced a few relapses and an overall decline of cognition (how well her brain works). We have reviewed every study on TBI that exists and employed every strategy and more which has helped to at least slow things down, but I’m reading most days and listening to interviews and podcasts almost all the time to maybe catch that bit of information that makes a difference. Most days Pernille cannot read. She can only type because she learnt typing as a student, but she can’t check what she types visually and can’t write long passages because she struggles to hold the theme in her minds eye. Anything she does write is usually the result of multiple efforts, often over days, which you can imagine for a doctor, educator and author is a horrible situation. Anyhow, while visiting the Neuro Convention London recently and being “in topic”, I came across information in a podcast interview regarding neurohormone therapy being used with soldiers suffering TBI. ...fast forward a weeks reading and I am quite confident that I found that nugget last week and can write this post to you. The treatment has only been developed in the past 15 years and finds most use amongst soldiers of the US armed forces. There are only a handful of facilities world-wide with the knowledge about what to do. A professor in Dublin, Ireland is the only physician in Europe that is familiar with the treatment process. In a nut-shell it looks like there is a neuro-hormone treatment that P can get under guidance of the endocrinology professor in Ireland. I wrote to his private practice and left a message on Friday. We don’t know the cost overall, but we do know things start at about £2.500, and need to keep multiple tests, travel and actual treatment in mind, plus multiple review testing probably every 12-16 weeks for about 1-2 years. My approx estimate is about £25-35.000 to have things covered. To get the ball rolling P needs £2-3k realistically to know at least the first complete assessment can be made. Improvements can be near-time within 8-12 weeks. There is a tapering process to reduce/modulate dosages generally after year 1. The cost is a big deal and very much beyond our capacity. We can’t do it. The treatment method is clinically established, proven and published. So, my question to myself is what can I do to make sure P gets the treatment!?! Ask everyone I know for help. Therefore, can I ask all of you that know of and have read or heard about Pernille Damore to please comment or PM me and I really, really ask everyone to get together to help the one person that has always helped everyone and give P a shot at so far the best and most promising chance to get back into life. Please PM me (on FB), Lincoln, with your willingness to contribute. We have approx 1.400 people that will read this message potentially. Everyone counts! If you reach out to friends and others that know of Pernille, or just want to help a person that has always helped others, please put them in contact with me. I’m rather confident that with enough support we can get things organised for P to start treatment in the next 3-6 weeks. PS: If someone could translate this message into danish and paste into the comments below, that would be a great help too! There is a chance that P can have an international referral to the hospital in Ireland. Can our medical contacts please indicate if they know of any danish doctors that pursue TBI treatment using neurohormone replacement. “We” have not found anyone online, but it would be good to know before making an application at the Rigshopitalet on Thursday. There may be a chance to get a so-called international referral from the Danish Health Service. We put that request together today and contacted the treatment location to evaluate options etc. A gofundme project will be published with 2 targets. 2. To target £25.000 for 6 trips, plus tests, plus treatment (should the referral not happen) Every bit of help is appreciated. A first target would be £3.000 for the first trip in approx 4-6 weeks, as soon as the pre-evaluation DUTCH test results have completed. DANISH Ok, dette er en stor ting for os, så læs venligst i 1-2 minutter. Jeg er måske lidt direkte i min henvendelse, men nogle gange er der ingen belønning uden risiko. Sådan er livet. Hvis du elsker Pernille Damore og alt hvad hun står for som menneske, skal du fortsætte med at læse. For de af jer, der ikke ved det, lider P af en hjerneskade, TBI (Traumatic Brain Injury) fra en hovedskade, hun fik. I de sidste år har hun oplevet et par tilbagefald og et generelt fald i kognitionen (hvor godt hjernen virker). Vi har gennemgået alle undersøgelser om TBI, der eksisterer og anvender enhver strategi og mere, som har hjulpet en lille smule. Jeg læser de fleste dage og lytter til interviews og podcasts næsten hele tiden for måske at fange den smule information, som vil kunne gøre en forskel. ... og jeg er helt sikker på, at jeg fandt den nugget i sidste uge og derfor kan skrive dette indlæg til dig. Behandlingen er kun blevet udviklet i de sidste 15 år og finder mest brug blandt soldater fra de amerikanske væbnede styrker. Der er kun en håndfuld faciliteter verden over med viden om, hvad de skal gøre. En professor i Dublin, Irland er den eneste læge i Europa, der er bekendt med behandlingsprocessen. Sagt kort, ser det ud som om, der er en neuro-hormonbehandling, som P kan få under ledelse af endokrinologiprofessoren i Irland. Jeg skrev til hans private praksis og sendte en besked fredag. Vi kender ikke de samlede omkostninger, men vi ved, at omkostningerne for undersøgelserne starter på omkring 2.500 £ plus flere tests plus rejse plus de egentlige behandlinger plus flere gennemprøvningstests hver 12-16 uger i ca. 1-2 år. Min ca. estimat er omkring £ 25-35.000 for at få tingene dækket. Forbedringer kan være mærkbare indenfor 8-12 uger. Der er en aftagende proces for at reducere / modulere doser generelt efter år 1. Omkostningerne er en stor ting og langt ud over vores kapacitet. Vi kan ikke gøre det uden hjælp. Behandlingsmetoden er klinisk etableret, bevist og offentliggjort. Så mit spørgsmål til mig selv er, hvad kan jeg gøre for at sikre, at P får behandlingen!?! # 2. Få et 2. job. Spørg alle, jeg kender om hjælp. Derfor spørger jeg alle jer, der kender til og har læst eller hørt om Pernille Damore, om hjælp til hende, som altid har hjulpet alle! Dette er den hidtil bedste og mest lovende chance for, at hun kan komme tilbage til livet. Venligst PM mig, Lincoln, hvis du ønsker at bidrage. Vi har ca. 1.400 mennesker, der kan læse denne besked potentielt. Alle tæller! Hvis du når ud til venner og andre, der kender til Pernille, eller bare vil hjælpe en person, der altid har hjulpet andre, så sæt dem i kontakt med mig. Jeg er ganske sikker på, at vi med tilstrækkelig støtte kan få tingene organiseret til P for at starte behandlingen i de næste 3-6 uger. PS: Hvis nogen kunne oversætte denne besked til dansk og indsætte i kommentarerne nedenfor, ville det også være en stor hjælp! Der er en chance for, at P kan få en international henvisning til hospitalet i Irland. Kan vores medicinske kontakter angive, om de kender til eventuelle danske læger, der forfølger TBI-behandling ved hjælp af neurohormonudskiftning. "Vi" har ikke fundet nogen online, men det ville være godt at vide, før vi indgav en ansøgning på Rigshospitalet på torsdag. Der kan være en chance for at få en såkaldt international henvisning fra det danske sundhedsvæsen. Vi stillede denne anmodning sammen i dag og kontaktede behandlingsstedet for at evaluere muligheder osv. Et gofundme projekt vil blive offentliggjort med 2 mål. 2. At målrette £ 25.000 til 6 rejser plus test, plus behandling. Et første mål vil være £ 3.000 for den første tur i ca. 4-6 uger, så snart de forhåndsevaluerende DUTCH testresultater er afsluttet." In the updates there will be measures taken that explain where GoFundMe monies have been used or are going to be used. Anyone wanting a breakdown of what has been spent and how, please email Lincoln to: lincoln@pernilledamore.com and make a request. Upon this GoFundMe project ending, any surplus monies not used will be donated to BrainInjury charities equally in UK and Denmark. Pernille has been acknowledged as personally incapable of supporting herself. This process took 2.5 years, 2 board reviews, 1 appeal and >15 meetings and consultations, besides fulfilling mandates of appointments etc. Pernille should have her pension awarded by October/November this year. Another month goes by. Another month of confusing, conflicting and frustrating events with Drs in Denmark. Pernilles condition is progressively worsening. Seizures are more frequent. Memory displacement is getting worse too. “ADDISON CRISIS - OFF WE GO! You might wonder why on earth l haven´t had one done yet and that will bring me back to the missing sub-title. TBI is not acknowledge in Denmark to be anything but psychosomatic! Anyway – l became aware that something was seriously wrong. Something that highly resembled 2nd Addisons disease and hypothyroidism. At that point l had been treated for migraines with Sumatriptan for 4 years. They did not help! and after my relapse in ´16 where l spent 1,5 year with “migraine” in quiet darkness at my dads summerhouse, you know; out in the woods, with no neighbours, no internet, no phonesignal, no radio, no tv, in complete isolation so there would be no disturbances and still had 260 days with “migraine” in 2016 we knew there were something really REALLY wrong! l couldn´t walk because my balance was off. I was bruised up and down my body not remembering why or what had happened and only assuming that l must have fallen. l had seizures several times a week. I was fully conscious, the entire body shaking and just lying there not being able to do anything but controle my breathing. - and l was in so much pain. When l came back l went to my GP that had refused the testing in the first place. He looked at the results and said “we better send you to an endocrinologist that can test you for hypopituitarism, 2nd Addisons and hypothyroidsm” EVEN THOUGH the tests in his hand clearly stated that l had all of the above. Me at my GPs office. He is preparing me for the SPECT scan. The plan is that he will send me to the hospital on Wednesday to get it. l ask him if he is sure since l know exactly how it is to be me every single morning when l wake up after 9 hours without HC. I need 48 hours off HC to have a proper SPECT scan. If you can, please help us get Pernille promptly supported to avoid further months and months of waiting. Thank you for your support and understanding in regards to Pernille. We can only imagine how confusing and un-understandable her situation may seem from the outside. We are lucky that we connected the dots last year between Pernilles’ symptoms in mid/late ‘16 and during her recovery time at the summer-house in Rørvig to be related to hormones and steroids. If the tests had not been done in Austria last year, funded by all you lovely supporters of this exact GoFundMe, then Pernille would not be in a re-assessment process and having tests still done in Denmark that were seen as not relevant a year ago. Only 2 weeks ago, in February, the Rigs confirmed after an ACTH test that she is severely cortisol deficient, and Pernille will require corticosteroid supplementation always. Looking at rear head-injury statistics there is a 80% correlation to development of pituitary dysfunction. Cortisol deficiency aka Addisons Disease, can be affected by major trauma incidences such as accidents and surgeries too. Combined a very complex situation to assess and treat. Pernille has Addisons with a secondary hypopituitarism. If it sounds complicated, it’s because it is. Even the Drs are rather unclear about what to do and Pernille is being reviewed by the specialised “complex health pictures” faculty in conjunction with a new endocrinologist since January. 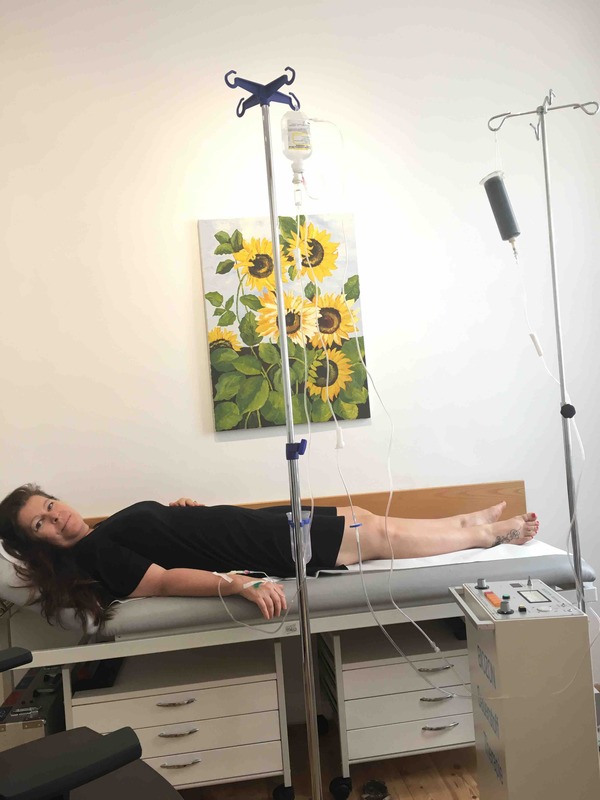 The protocols of Glutathione and other peptides are being maintained as recommended (see previous updates regarding bi-daily injections) and overall the combination of these measures combined with hydrocortisone and her improved pure T3 medication, because her T4 conversion has stopped, is proving to work and give her days now with no headache, more energy and ability to process, but it’s still a long way from being eg >3 out of 7 days and more than 1-2 tasks per day. 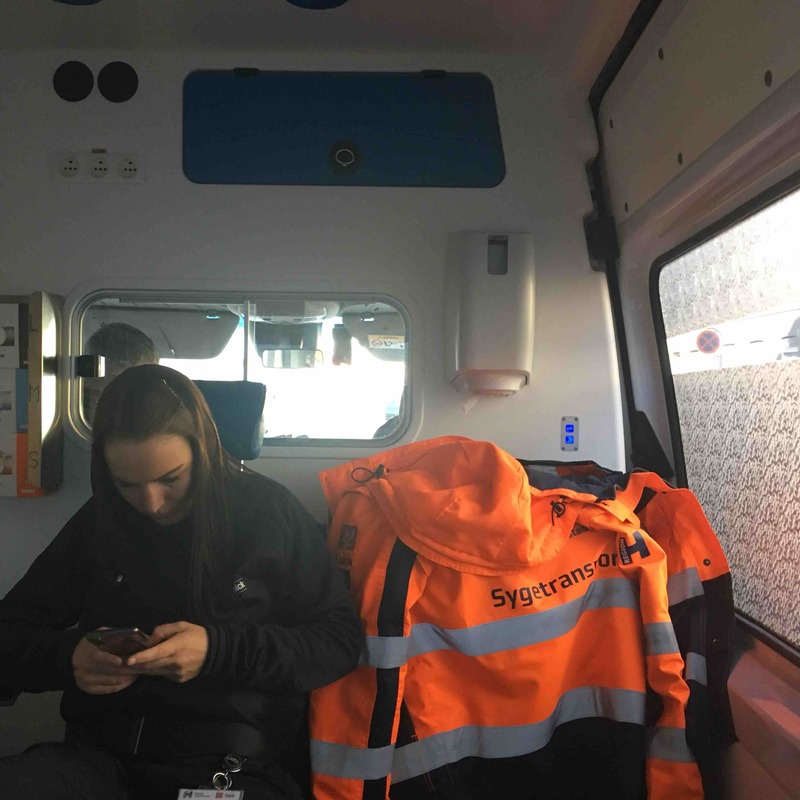 Pernille is getting all the help she can from the Rigs Hospital. Pernille is getting all that is possible from extra sources and services in addition to what is not available in Denmark. The bottom-line is that overall, in a situation where most patients have already died statistically or are needing 24/7 care, Pernille is making gradual small improvements to do a few basic things that she absolutely couldn’t do just 9 months ago, and a big part of that is due to your financial help! The next targets are to secure the next 3 months of medications, approx £250, plus funds to finance a treatment and testing trip back to Vienna, approx £1500. We hope that with your support we can make plans to pursue these objectives in April and push the envelope of recovery that bit further. The new treatment that was started 6 weeks ago has shown signs of improvement. Pernille has been somewhat more active recently, but stress and environment still need to be managed pro-actively. Pernille started a new medication just 2 days ago that seems to be helping her overall energy and metabolism. Thank you everyone that has donated recently, helping already secure medications for Pernille through into January. More help is welcomed and needed. When you donate you are helping Pernille have access to medications (prescribed and non- prescribed), treatments and any travel costs associated to treatment or evaluation/testing/diagnosis. I (Lincoln) contribute as much as I can with flight tickets, supplementation and general logistics of things. William (Pernilles’ brother) contributes his only free-day every week to review paperwork, communicate, support and do any errands. Madelene (Pernilles’ Mother) supports with groceries, errands, laundry and ensures Pernille is ok on a daily basis. Our goals are to get Pernille in a stable health- condition using whatever means available. This year has been about understanding the type of injury Pernille has, that due to funding was able to be diagnosed more accurately with proper tests done in Austria. Tests will be needed again in February/March in follow-up. Medications are needed for another 1.5 years to follow the treatment through. Help us help Pernille who has helped hundreds if not thousands of people with her books, seminars, teachings, education and media. UPDATE ... there is bad news unfortunately. Turns out that the medical- board review is ONLY to review Pernille’s diagnosis in a work- ability context, NOT to determine an appropriate treatment!! The assigned endocrinologist only made a brief phone-call and gave instruction of T4 medication, took no questions and was unwilling to discuss anything. The follow-up is in mid January 2019. This is absolutely not ok and rather devastating to us all. I’m (Lincoln) now revisiting the requirements for an international referral to the Beaumont Hospital in Ireland which is the only comprehensive facility to treat pituitary conditions that I have found, to the extent we estimate is required. Yesterday I spoke with Pernille for the first time in 2 weeks and she is really struggling with basic things. We are all hugely disappointed by the danish services and appreciate your further financial help to change this. Pernille needs a facility or at least one therapist that respects her condition and can act appropriately. So far we haven’t found one that are willing to provide support and engage, mainly due to jurisdiction arguments. Without a referral however, we may need to consider other actions altogether. All involvement and support is needed.